Cranberry sauce is essential for a proper Christmas dinner but many people think that cooking it at home is a faff too far. 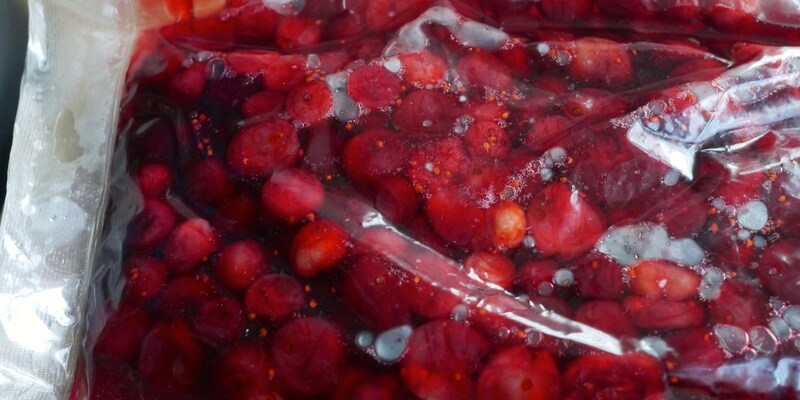 Making it sous vide is not only incredibly simple, it's also particularly delicious as cooking the cranberries under vacuum intensifies the flavour. Place all the ingredients in a bag and seal under vacuum. Cranberry sauce isn't just for Christmas; it also goes brilliantly in sandwiches with ham or brie, try it with roast duck or simply add a spoonful to a bowl of vanilla ice cream for a quick and easy pudding.